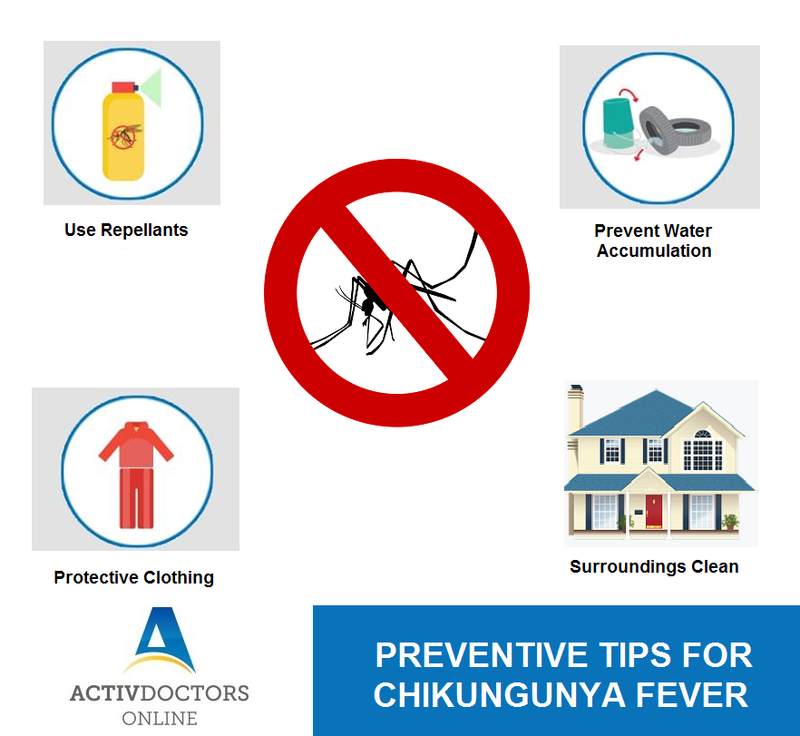 Chikungunya is a viral disease transmitted to humans through infected mosquitoes carrying the virus . It causes fever and severe joint pain. Other symptoms include muscle pain, headache, nausea, fatigue and rash. There is no cure for the disease. Treatment is focused on relieving the symptoms. The proximity of mosquito breeding sites to human habitation is a significant risk factor for chikungunya. Prevention and control relies on reducing the number of natural and artificial water-filled container habitats that support breeding of mosquitoes. During outbreaks, insecticides may be sprayed to kill flying mosquitoes, applied to surfaces in and around containers where the mosquitoes land, and used to treat water in containers to kill the immature larvae. • When weather permits, wear long-sleeved shirts and long pants.